"IT'S CHRISTMAS TIME is rich, sentimental, wonderful, magical ..."
Bluegrass Ridge TV Show (Darren Nicholson special guest artist host). The program airs on Heartland TV, The Family Channel, Angel Two Network (Dish-TV), Keep It Country TV-UK / Ireland, Country TV (New Zealand) and additional cable systems. Check listings for additional airings. 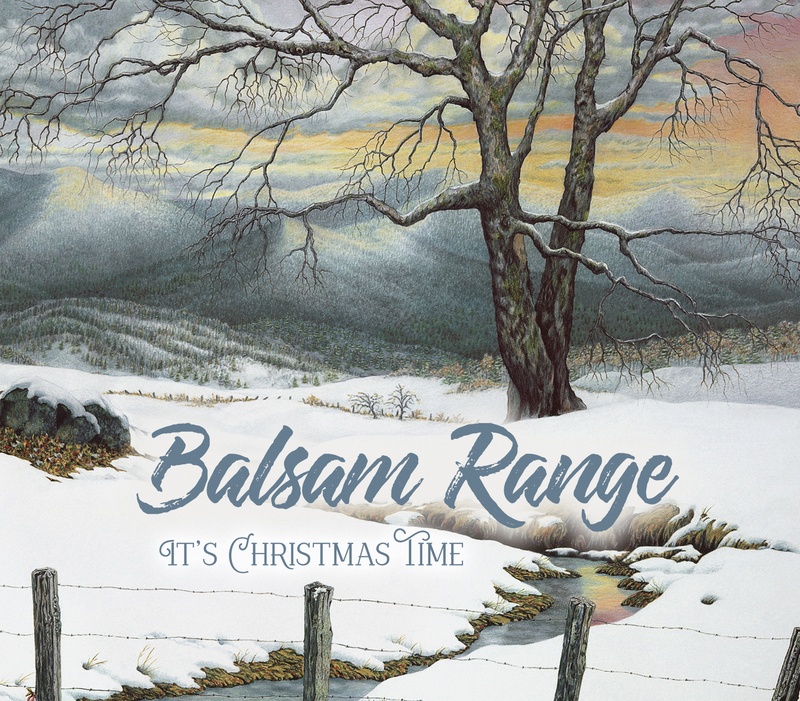 Second Annual Balsam Range Art of Music Festival at Lake Junaluska, North Carolina. On Dec. 2, Balsam Range with Atlanta Pops Orchestra Ensemble will perform tunes from IT'S CHRISTMAS TIME during the closing show. Purchase tickets now; only a few seats remain. These native Western North Carolinians have created a beautiful collection for holiday music lovers and they hope to see their fans and neighbors during their Festival. "This was a unique opportunity for us," notes Balsam Range spokesman Tim Surrett. "We are eager to share this music - and the incredibly beautiful Lake Junaluska area with all music fans. We're definitely feeling the Christmas spirit this year and invite everyone to come, sing along, and ring some bells with us." IT'S CHRISTMAS TIME was produced by Balsam Range members Buddy Melton (fiddle, lead and tenor vocals), Darren Nicholson (mandolin, octave mandolin, lead vocals, baritone and low tenor vocals), Dr. Marc Pruett (banjo), Tim Surrett (bass, dobro, baritone and lead vocals) and Caleb Smith (guitar, lead & baritone vocals) and recorded at Crossroads Studios in Asheville, North Carolina for Mountain Home Music Company. Cody McVey wrote the arrangements for the Nashville Recording Orchestra and Bobby Shin recorded the orchestra at the Library Studios in Nashville. BR, formed in 2007, has become one of the genre's most award-winning acts in recent years, garnering 11 International Bluegrass Music Association Awards on the heels of six critically-acclaimed albums. The group has left audiences spellbound while headlining major festivals from coast to coast, selling out venues across the nation, and in multiple appearances at the Grand Ole Opry. Their previous outing, MOUNTAIN VOODOO, debuted at #4 on the Billboard Bluegrass Albums Chart and remains on that chart after 55 weeks. Three singles from the album reached #1 on the Bluegrass Today Chart, including "Blue Collar Dreams," which spent three consecutive months at the top. The disc was recently honored as the IBMA's 2017 Album of the Year.